See this post for help narrowing down a problem in your washer’s drive train (motor, coupler, transmission, clutch), shown in the diagram below (click for larger view). One sign that the clutch is slipping is that it’ll feel really, really hot after running for just a few minutes. Once you’re sure you’re dealing with a slipping clutch, Sublime Master of Appliantology Willie B has a cheap and clever bandaid repair that’ll keep it going for a good while longer, maybe even as long as you continue to own the machine! 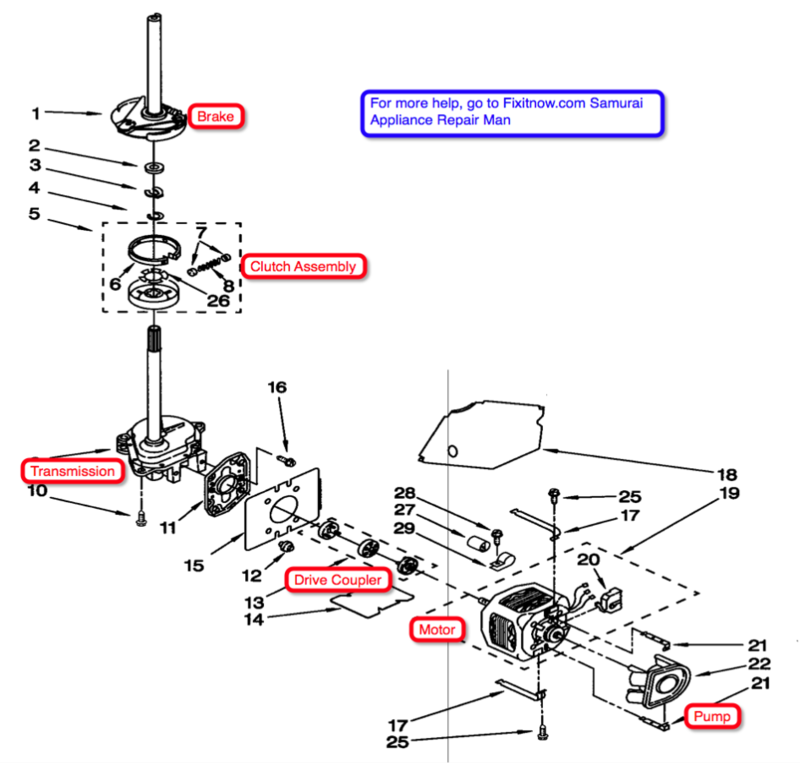 This entry was posted in Washer Repair on May 27, 2009 by Samurai Appliance Repair Man.